Josh was born in Brenham, Texas and spent his childhood in a number of different states. His dad, Dan, was in construction, and various projects took the Hicks family from Texas to Louisiana, Georgia, Arkansas, Arizona, back to Arkansas and, eventually, Kentucky where his dad and mother, Sharon, purchased a farm in western Fleming County where they settled permanently. Josh spent his high school years working on various farms (including the family farm) pitching hay, housing tobacco, and building fence. Josh was a standout offensive and defensive lineman at Fleming County High School and went to Georgetown College to continue his football and academic career. After three semesters, he left college to work for the same construction company as his father. After a year or so as an iron worker and rigger, he joined the United States Marine Corps where he was trained as a radio operator and cryptographic custodian. He married his wife, Bethany, who was born and raised in Maysville, Kentucky, during the first year of his service. Josh served aboard the USS Ponce and the USS Trenton during two deployments with the 24th Marine Expeditionary Unit. He received his honorable discharge after four years of service, just after the birth of his and Bethany’s beautiful daughter, Kaitlin. After his Marine Corps service ended, Josh completed training as a certified police officer at EKU’s Department of Criminal Justice Training and began working as a police officer in Bethany’s hometown. Josh spent five years as a Maysville Police Officer, serving on the Emergency Response Team and as a certified training officer, training new police recruits. Three years in, Bethany and Josh celebrated the birth of their son, Daniel. Because he worked nights and weekends at the police department, Josh was able to go back to school at Morehead State University during the day and graduated with honors. During his time at Morehead State, he began to consider a career as an attorney. After graduation from Morehead State, Josh applied to and was accepted into the University of Kentucky College of Law. He was a competitor on national trial teams all three years of law school and built strong ties to the city of Lexington, where his wife opened an insurance agency and his children began attending school. After law school, Josh went to work for a mid-size firm in Lexington where he litigated and practiced cases from Paducah to Pikeville. He moved to a regional firm’s Lexington office where he continued to practice with and be mentored by some of the most respected attorneys in the state of Kentucky. 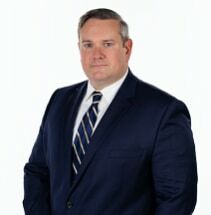 He has represented individuals and businesses across the state in a wide variety of matters, conducting and participating in hundreds of depositions, oral arguments, mediations, and several jury trials. Josh volunteers his time as a mediator for the Fayette District Court.